Welcome to Poppy Valley, where romance is in the crisp mountain air! Meet four special women who overcome their own unique obstacles to find true love in the rustic gold mining town of Poppy Valley, California. 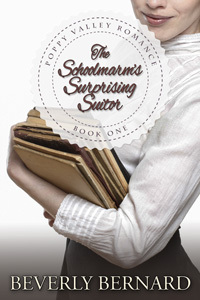 Clara and Henry: Can a prim schoolmarm put aside her preconceived notions to find love with a lowly miner? Annabelle and Silas: A beautiful belle finds a beau who can look past her disability to see what is in her heart. Eleanor and Nathaniel: The ghosts of relationships past threaten to keep two lovebirds apart. 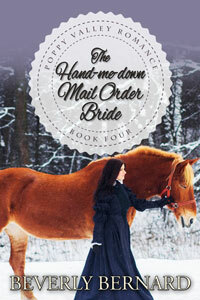 Ada and Bart: She loves his horses, but can she open her broken heart to the horseman who loves her? 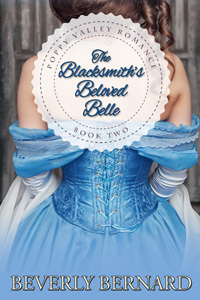 This book is a collection of four previously individually published stories: The Schoolmarm's Surprising Suitor, The Blacksmith's Beloved Belle, The Banker's Mail Order Bride, and The Hand-Me-Down Mail Order Bride. Note from the author: I hope you enjoy this collection of sweet, clean, romance stories set during the California gold rush! Ada Shipley is headed for an uncertain future. When her father answers an advertisement for a mail order bride, promising her to a gentleman she's never met, she finds herself on a train west to California. Bart Callan has always found pleasure in his horses and his work running the livery in Poppy Valley. It had never crossed his mind to think about marriage. When Ada finds herself alone at the train station with her mail order husband-to-be nowhere in sight, Bart offers her a ride to Poppy Valley to spend time with the only person she knows in California, her cousin Amelia. While Ada makes attempts to track down her wayward betrothed, Bart finds himself drawn to the sheltered farm girl from Indiana. But when she finds out the truth about why her fiance failed to meet her at the station, she flees Poppy Valley in shame. It's time for Bart to tell Ada how he feels, but first, they'll have to weather some dangerous obstacles. 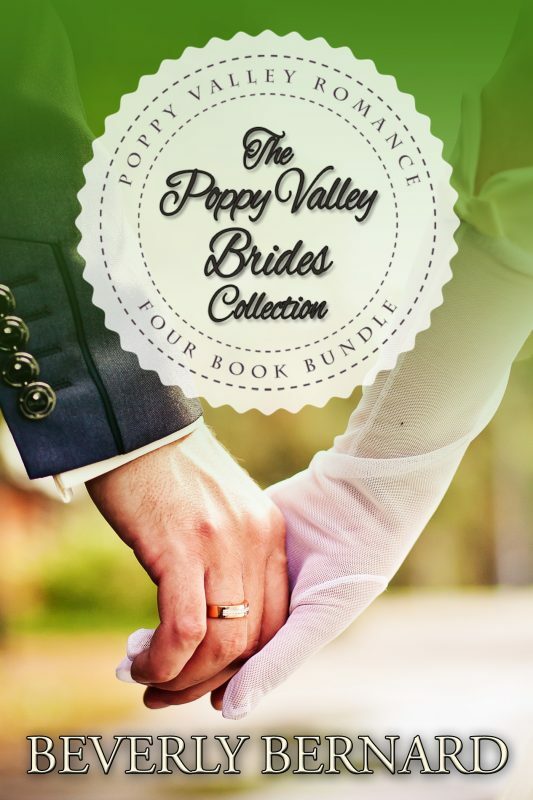 For a sweet, clean romance that will make you smile, take a trip to Poppy Valley. Nathaniel Barclay has been unlucky in love, and in a mining town full of men his prospects aren't promising. In a desperate attempt to find a wife, he places an ad for a mail order bride. 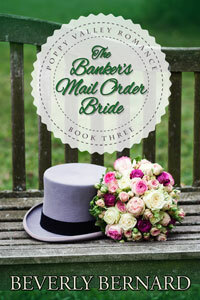 After the tragic death of her fiance, Eleanor Swann fears she might spend the rest of her life alone and unmarried until a newspaper advertisement catches her eye. Dare she take a chance on a stranger? Eleanor heads West to meet the man who will be her husband, but there is something Nathaniel isn't telling her. It will take some doing for these two wounded hearts to heal, but in the end true love can make it all worthwhile. If you're looking for sweet, clean romance, you've come to the right place! In the Gold Rush town of Poppy Valley, California, Silas Hanson spends his days surrounded by molten iron and steam as the local blacksmith. It's a lonely existence until one day the new mine foreman comes to town with his lovely young daughter, Annabelle. Blinded as the result of an accident in her childhood, Annabelle lives an isolated life, fiercely protected by her widower father. She's learned to live with her loss of vision, but she yearns for a husband and family of her own. There's nothing he wouldn't do to win Annabelle's heart, but Silas soon finds the biggest obstacle to their happiness is her father. Lucky for Silas, he has a plan. Poppy Valley, California, is a Gold Rush town in need of a school teacher, and Clara Beth Green is a woman seeking her future. Clara is a kind, loving young lady, but she is taller than almost all of the men she meets and most of them find her intimidating. Convinced she would have better luck finding a husband in the male-dominated West, she throws caution to the wind and heads for Poppy Valley. Henry Fordham goes to Poppy Valley to find his fortune, and instead he finds Clara. There is nothing about her he doesn't find appealing, even her height. 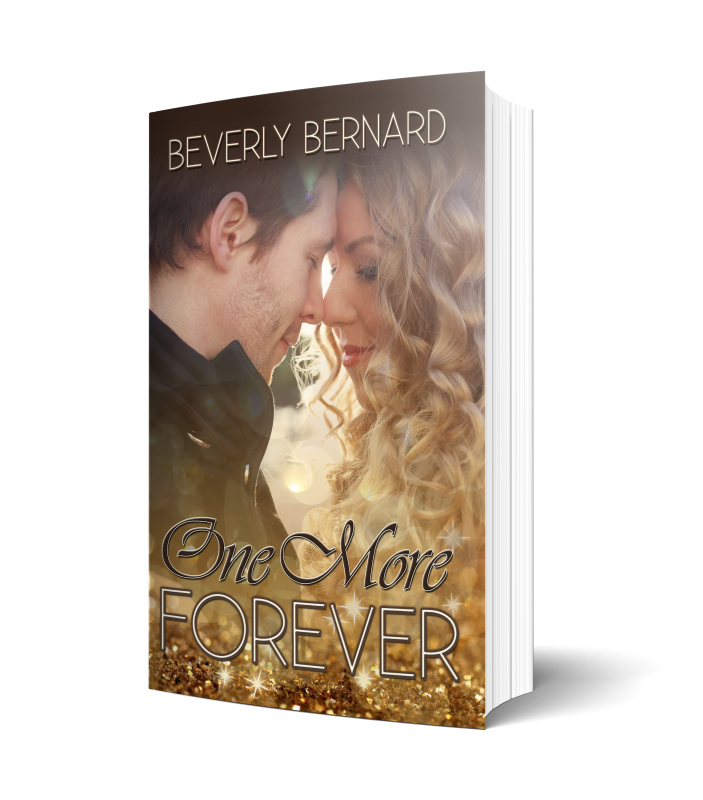 At first it looks as though she's unwilling to settle for a lowly prospector, but Henry has a few surprises up his sleeve that are bound to convince Clara that he's the one for her.